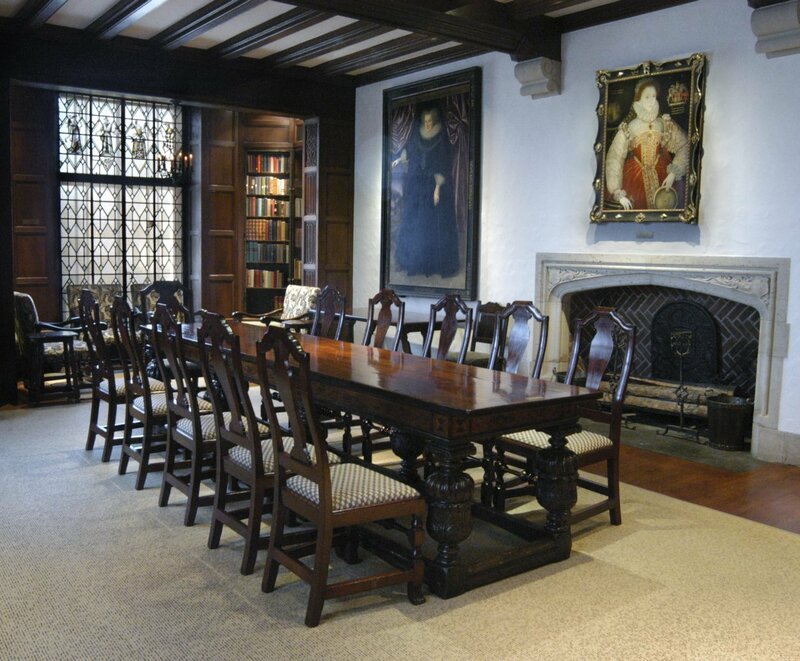 Located a block from the US Capitol, the Folger Shakespeare Library is a unique historic site that may be rented for private events. Evening rentals are permitted daily. Daytime rentals are available on Sundays only. Please note that wedding-related events are not permitted. 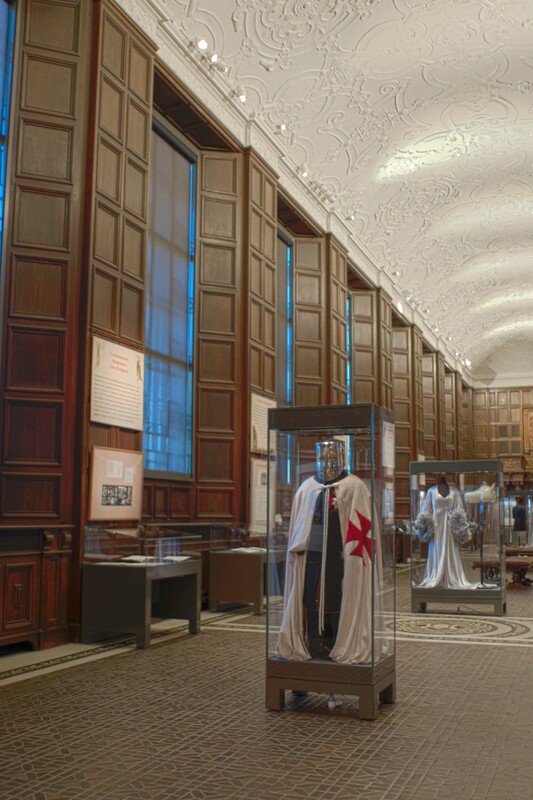 For more information about site rentals please contact the Office of Special Events at (202) 675-0375 or specialevents@folger.edu. 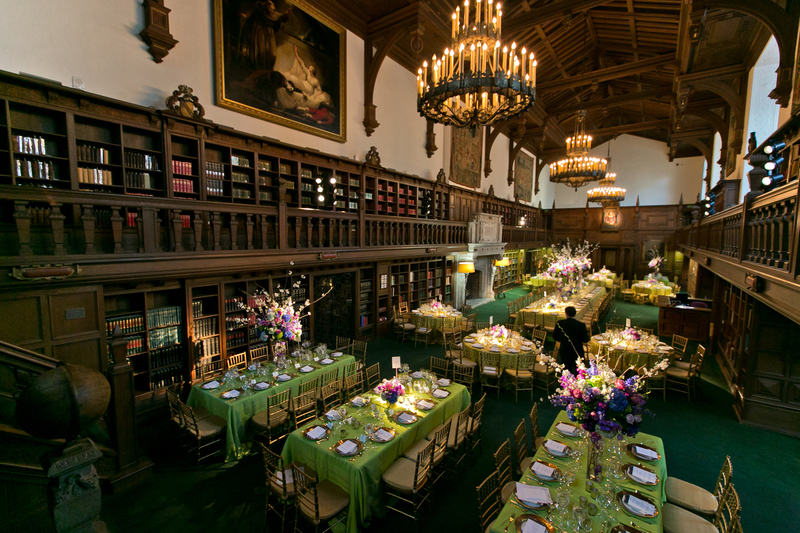 By day scholars gather in the Gail Kern Paster Reading Room to use the Folger’s world-renowned collection, but by night it can be the site for an unforgettable dinner or reception. 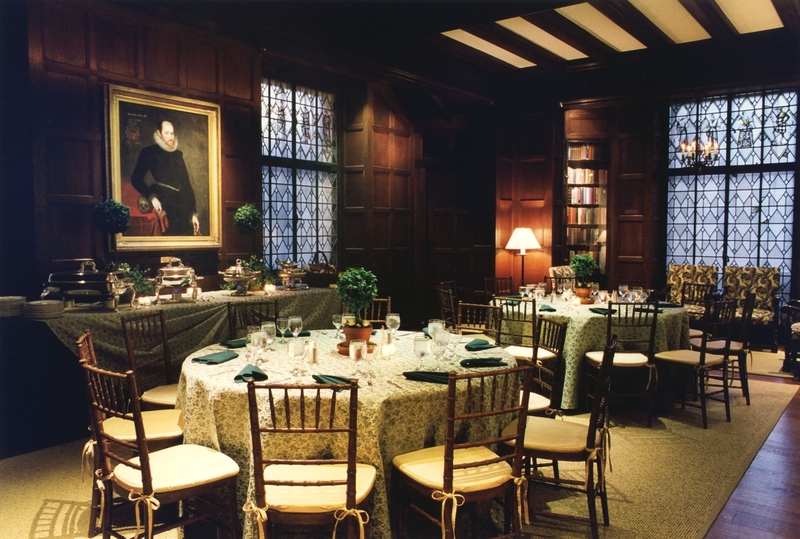 Paster Reading Room, 2005 Renaissance Circles Dinner. 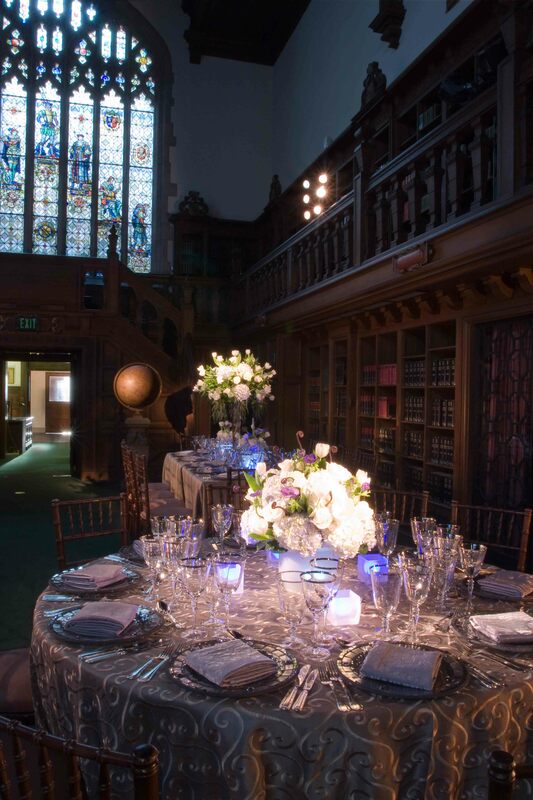 Paster Reading Room, 2014 Folger Gala. 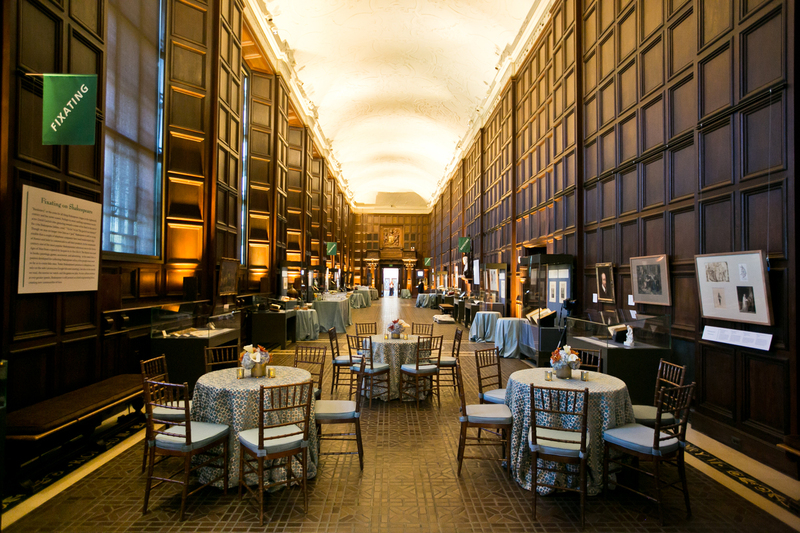 Originally designed as a private office for the Folger’s founders, the Founders’ Room is an intimate space perfect for small receptions and dinners. 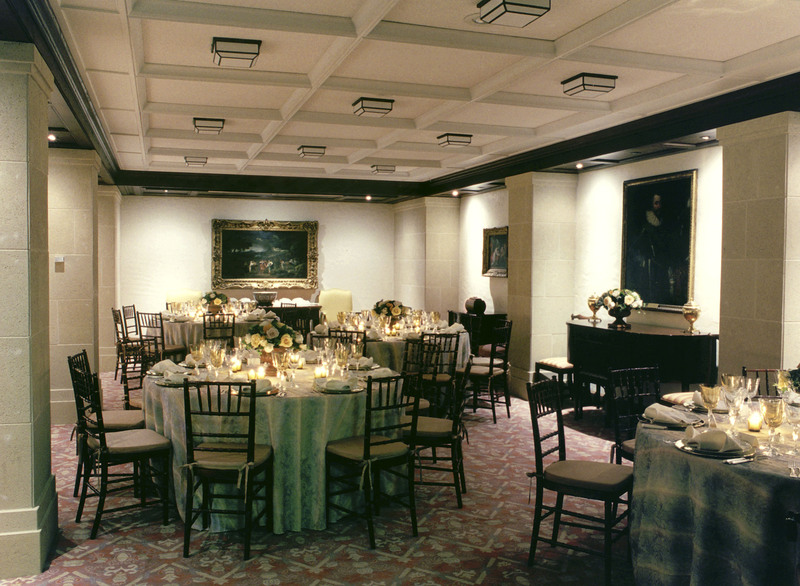 Founders' Room, set for dinner. 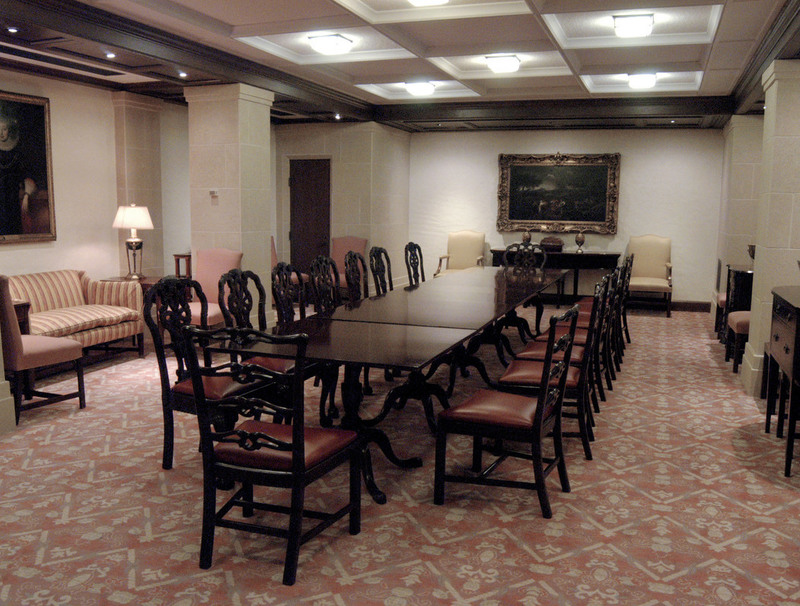 Decorated in an English Regency style, the Board Room is suitable for small dinners, receptions, and meetings. 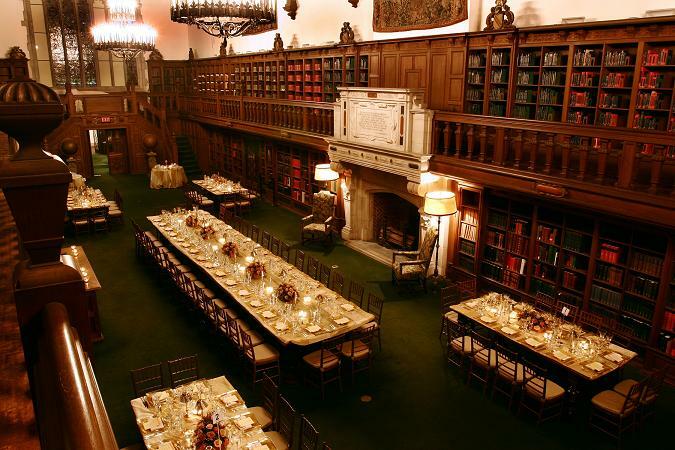 Board Room, set for dinner. 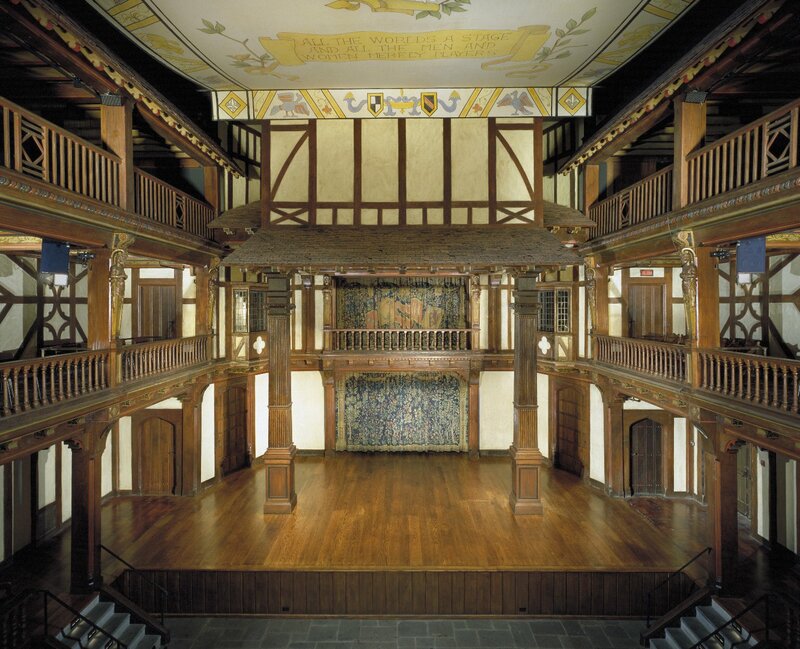 The Elizabethan Theatre is an ideal setting for lectures, musical recitals, and theatrical productions. Availability is dependent on the performance schedule.